When the winter storm Juno hit this past week, Pittsburgh turned into a winter wonderland. Even though driving in all that snow was not much fun, watching it and playing in it were definitely calming and pleasing. 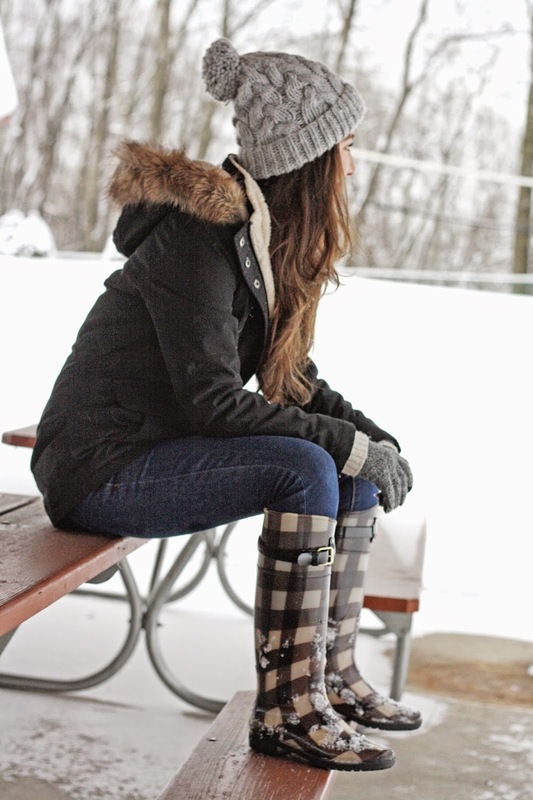 Today, I am sharing with you a casual and bundled up look that I would wear on these types of cold, snowy days. 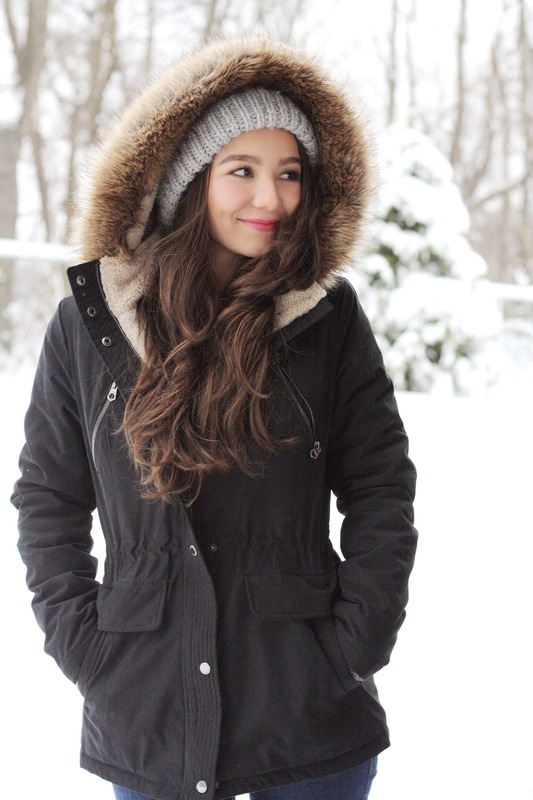 The Nautica parka I have on here is the most perfect outerwear to just throw on and go about your day; it is so warm and cozy, and super chic. I had a lot of fun shooting this look, and I realized that I usually have the most fun when shooting in nature. You can see what I mean here. What does your casual outfit look like on cold winter days? Such cute photos! Makes me a little jealous that I don't have snow where I live, even though I dislike the cold- it looks so fun to play in! 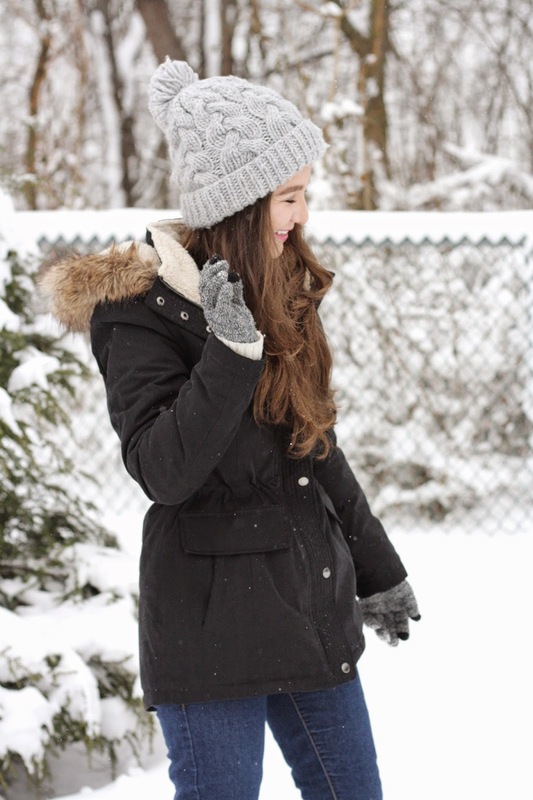 haha :) I absolutely love your parka, it looks so cozy. I'm jealous of the snow! In Indiana, we just got a lot of rain. I love your fun pom pom hat and those boots are adorable! You look so cozy and chic in this outfit!! loving your fur hood! I love the parka btw. Simple, but such a nice piece. I hope it kept you warm! I love all of this snow! You look so cute, and I love your boots!